Flower Sugar Spring flower line by Lecien. 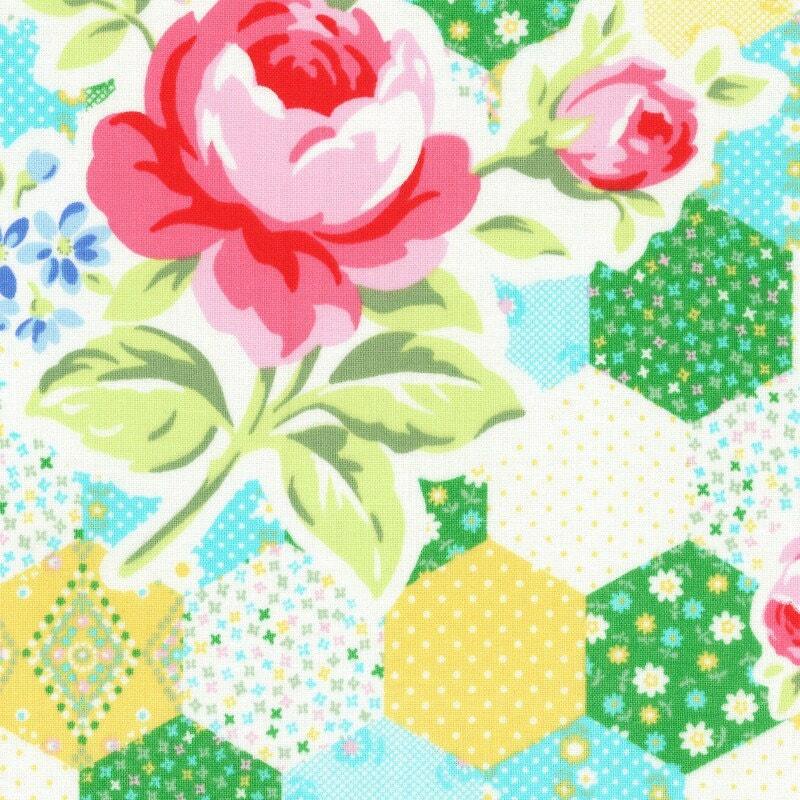 Large roses and hexagon shaped small prints. 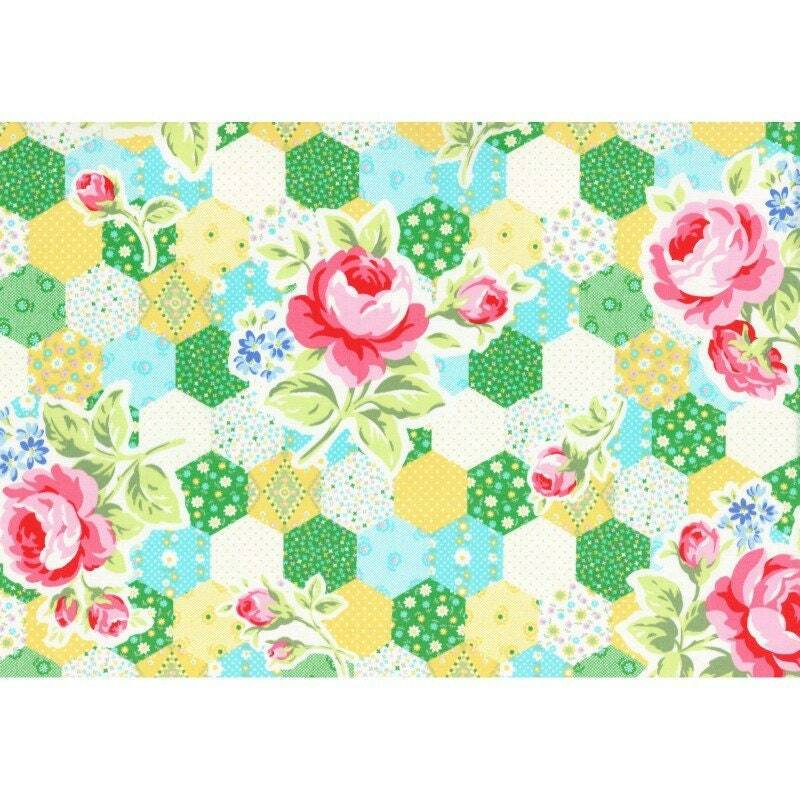 Each "hexie patch" measures 7/8" of six equal sides. Continuous cut is sent when you order multiple units.